It's BACK!! Come out and support Amsterdam's local businesses at the 2nd Annual St. Paddy's Day Pub Fest! Pick up your Pub Fest Stamp Card at any participating bar or restaurant for FOOD & DRINK SPECIALS, MUSIC, ACTIVITIES, GIVEAWAYS, & MORE! Stamp Cards are FREE! Pick them up anytime after 1PM. 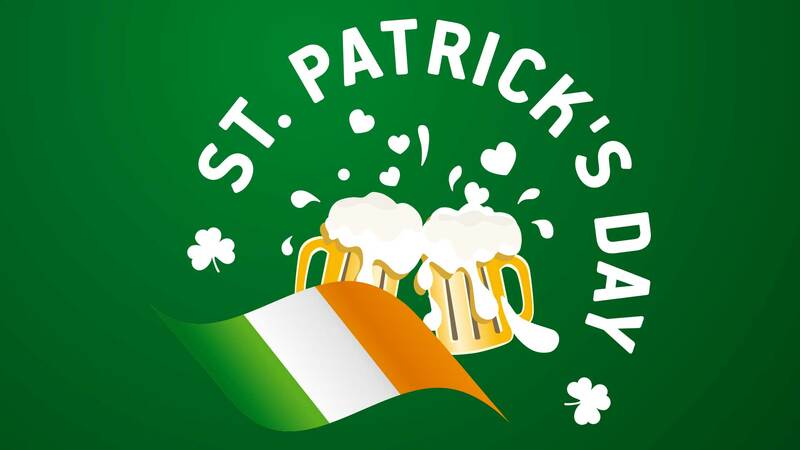 Get your Pub Hop Stamp Card stamped in AT LEAST 10 participating establishments & return your card to the Irish American Club to be entered into the St. Paddy's Day RAFFLES! Return your Stamp Card by 8PM to enter. Winners will be announced March 18th! The first 50 people to return to the Irish American with 10 stamps on their card will get a FREE T-SHIRT! The free trolley and shuttle service will be BACK with THREE shuttles this year! An extra shuttle will be provided courtesy of The Sentinel of Amsterdam! We appreciate you!! All DD's get FREE soft drinks at all participating locations :) Also make sure to pick up your wristband and punch card at the Irish American Club and look for those gold coins - you can win prizes too! & especially our Major Title Sponsor Jackson Hewitt! !